First BMW X5 Hybrid will be launched at the upcoming 2013 Frankfurt Auto Show. Earlier today through a lengthy press release, BMW shared with us some of the stats surrounding the X5 eDrive SAV. The plug-in hybrid uses a combination of a combustion engine couple with an electric motor that can provide driving autonomy. 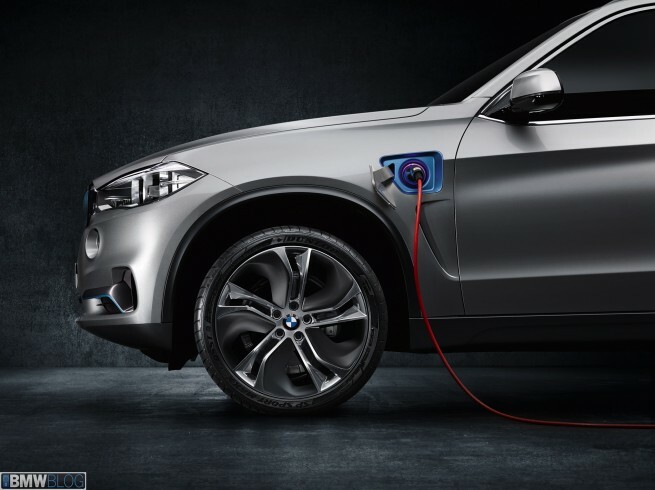 BMW has yet to reveal when and if it goes in production, but based on our knowledge, we should expect the first BMW X5 hybrid sometimes in 2014. Driving Modes: intelligent hybrid drive option for an optimum balance between sportiness and efficiency; pure electric and therefore emission-free driving; or Save Battery mode to maintain the current battery charge.